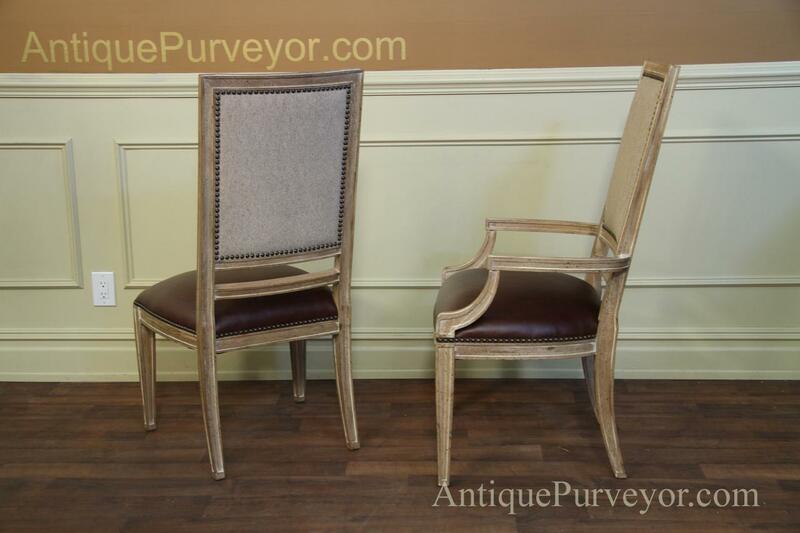 Description: High end, tall and sturdy leather upholstered dining chairs with spring seats. 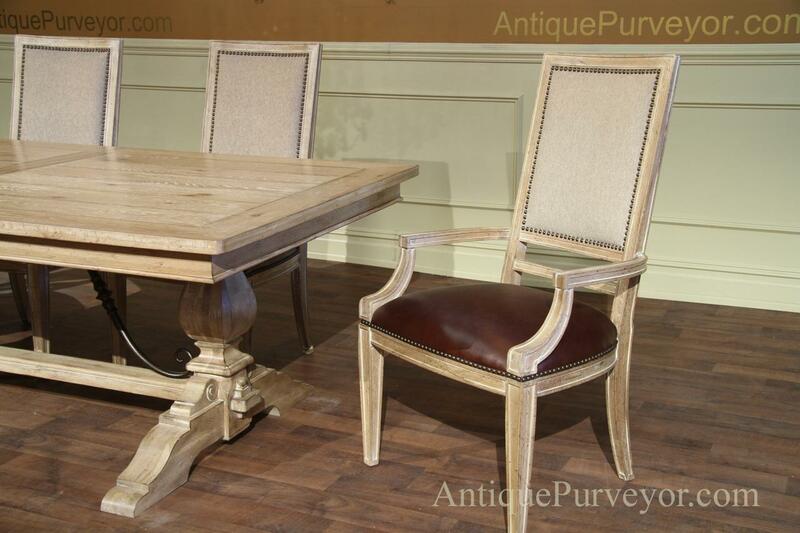 High end quality chairs with a unique, bleached and natural wood finish with bone color glazing. 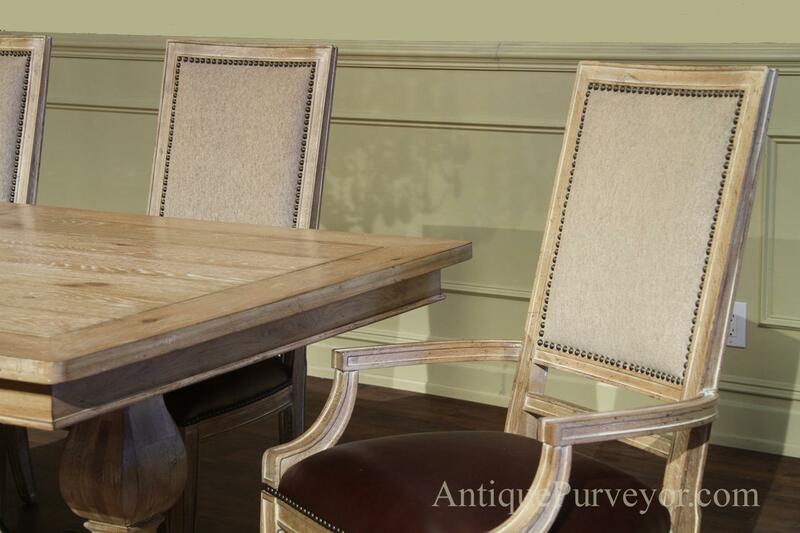 A great transitional dining chair with brass nail trim. These chairs are tall and they have generous seats which are about 19 inches deep from front to back. 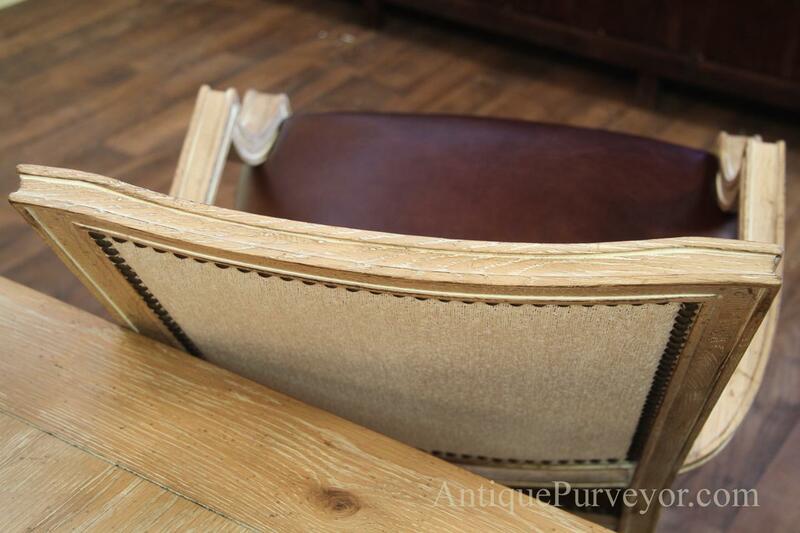 The spring cushion seat is also very comfortable on your bottom. 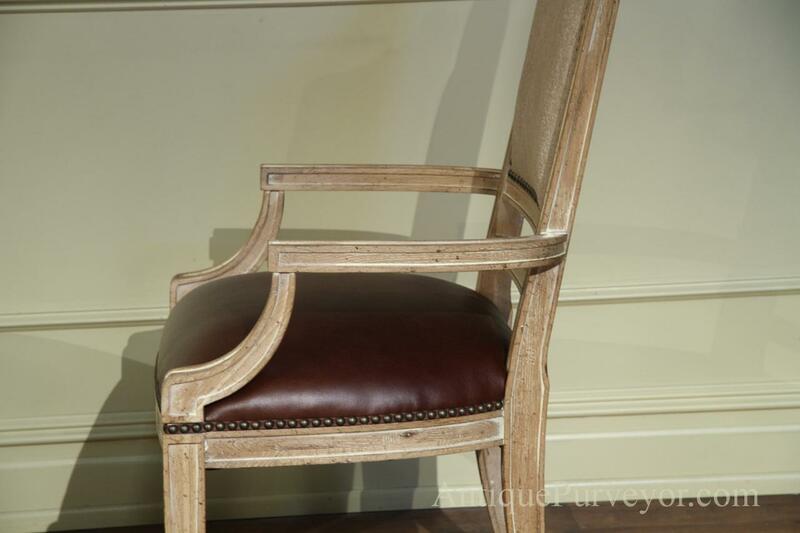 These chairs have dowels at the top corners and along the lower part of the chair frame so you will get many years of trouble free service from these chairs. 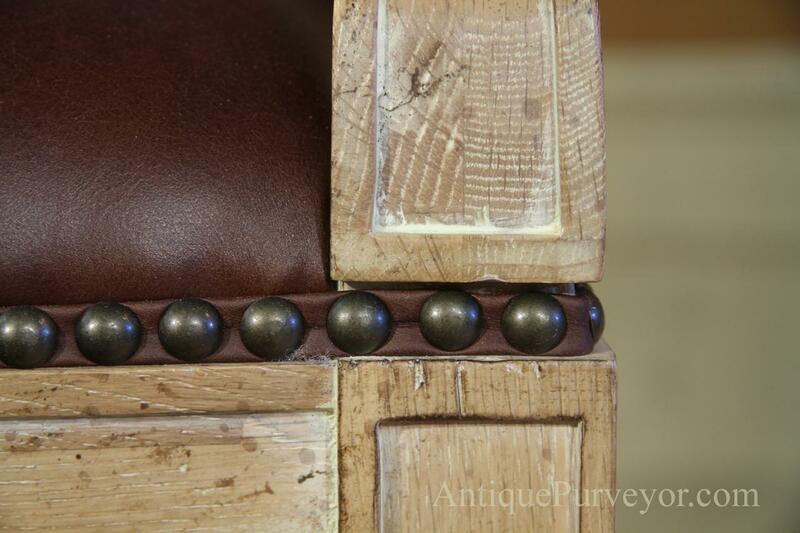 The seat bottoms have been upholstered in a heavy durable leather, which is easy to clean when compared to fabrics and leather is a great choice for the busy lifestyle. 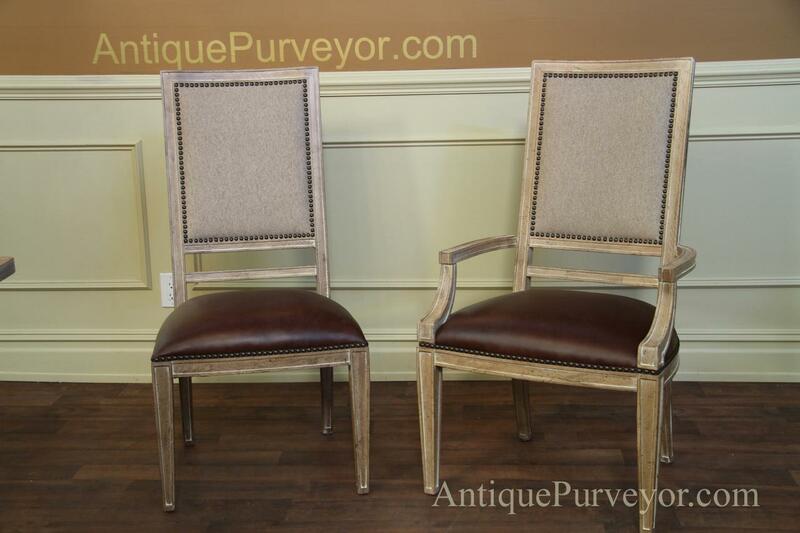 This is a great family chair which is also very comfortable and has a great look for your home. 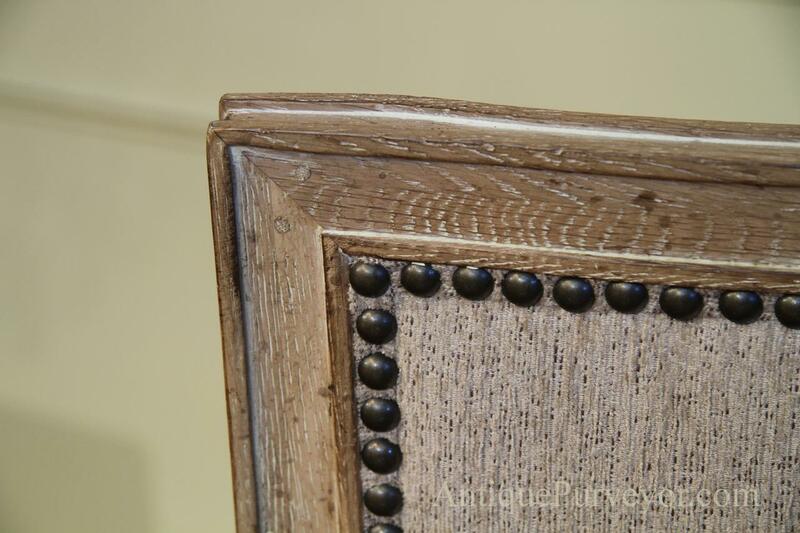 The finish makes these chairs a great choice chair for a beach house, second home or for any transitional dining area. 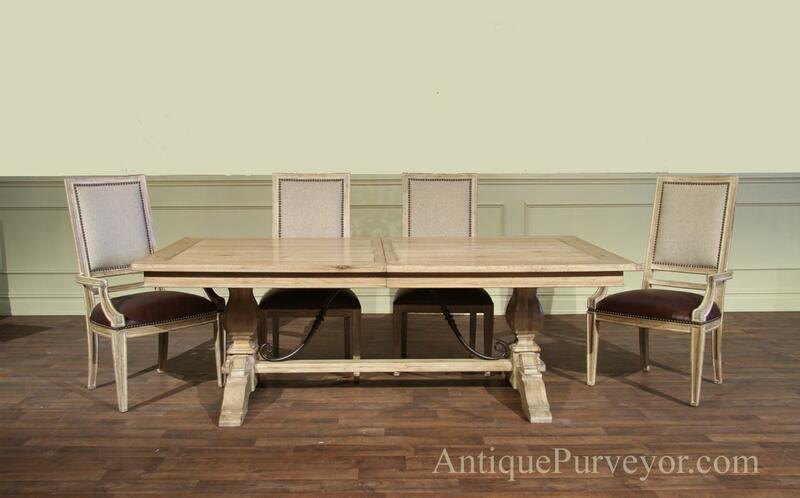 The table you see in this product page, is also available as a separate purchase.